Easy iron fabric. 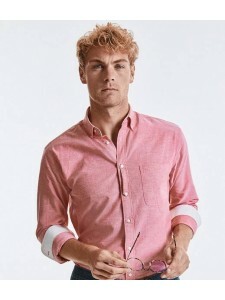 Fused stand up button down collar. Contrast inner collar, back yoke, cuff gauntlet..
Fused button down collar. Taped neck and cuffs. Contrast inner collar, back yoke, cuff gauntlet, inn..
Easy care fabric. Garment washed. 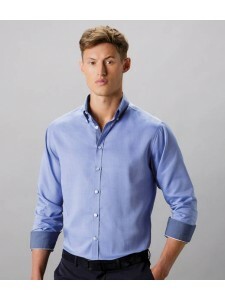 Button down collar with contrast inner. Pearlised buttons. Left ch..
Easy iron fabric. Fused, stand up button down collar. Contrast inner collar stand, inner cuff and cu..
Easy iron fabric. Fused stand up collar. 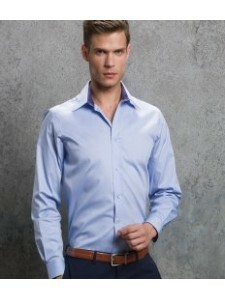 Contrast inner collar and cuffs. Back yoke with two side pl..
Crease resistant fabric. 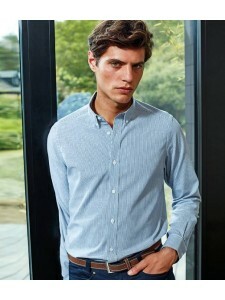 Classic button down collar. Contrast inner collar and cuffs. Two button cuf..